The province of Ilocos Sur is often dubbed as a living museum of a spirited past because of the strong presencen of Spanish legacy where myriad of cultures and histories converge. In here you will find a national shrine, a national landmark, a national museum, heritage museums, ancestral houses, period houses, cobble-stoned streets – they all share space in the timeless land of Ilocos Sur. 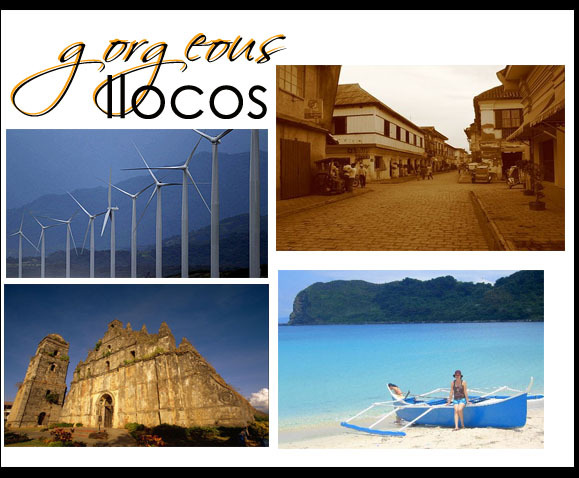 Ilocos Norte is a province in the Philippines in the Ilocos Region in the island of Luzon. The capital of this province is Paoay. This province is not only popular because of its historical monuments, museum, beautiful beaches but more importantly because the prominent politician Marcos clan hails from this region.